OppiStoep was proud to host Tie-Dye Master and Fabric Guru Melanie Brummer, owner of Slipstream Fabric Finishes in the month of April 2010. SABC 2's Pasella was here to film Melanie, demonstrating some of the techniques she teaches in her book "Contemporary Dyecraft". The program will be aired on SABC 2 on 28 April 2010. 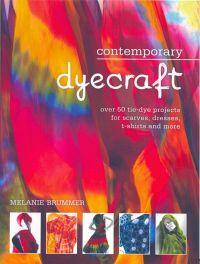 For more information on Melanie Brummer's Slipstream Fabric Finishes or Pasella, visit the links hereunder. Our "Pasella" evening held on 28 April 2010.